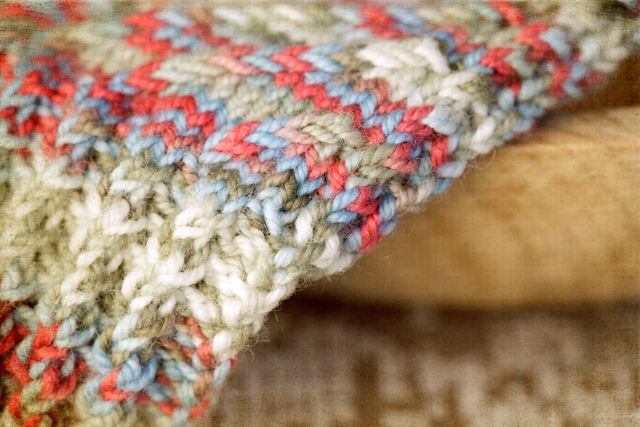 I modified these Toasty Twist socks by knitting my new favorite heel...the linen stitch heel. I heart it! Happy Wednesday! I hope you're having a fantastic week! Progress, of the best kind, is comparatively slow. I like the linen stich, too. Actually, theres a "Hipe" in the German Ravelry Group "Restend". Ooh, linen stitch should be perfect for heels - nice and sturdy! Beautiful socks! That heel looks fantastic, I'd love to give it a try some time! So detailed and lovely...you must have patience Gail and lots of it. This is a glorious heel - loving the yarn...must go see. This is beautiful and the quote is just perfect! That heel is so pretty! I heart it too! And the colors. . . so very pretty. 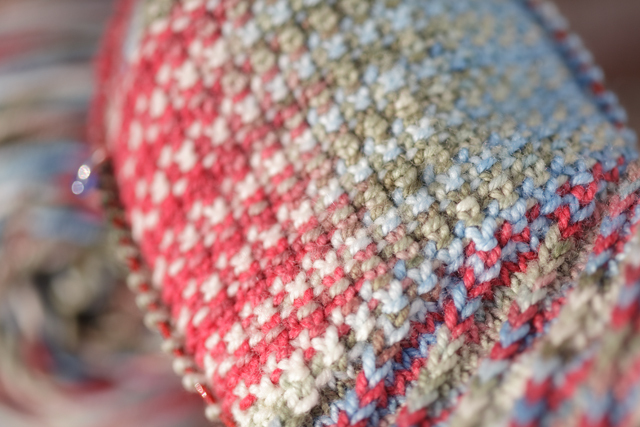 Knitting is the best teacher of patience. So lovely. And Tina should consider showing your socks to show off colors---these (like so many of your works) are just lovely. I truly just smiled when I saw them. Thank you! What an interesting blend of colors! I hope you are having a great weekend!